On this tutorial I'll show you how to have PIXELMON + PLUGINS with SPONGE. 2. Go in the "MAINTENANCE" panel, click on the "REINSTALL" button to have access to all the packs. Select "SPONGE 1.10.2 2092" (Your current data will be deleted). 3. Don't forget to put JAVA 8 it's very important for the server starts. 4. Click on the "SAVE CHANGES" button to apply the modification. 6. 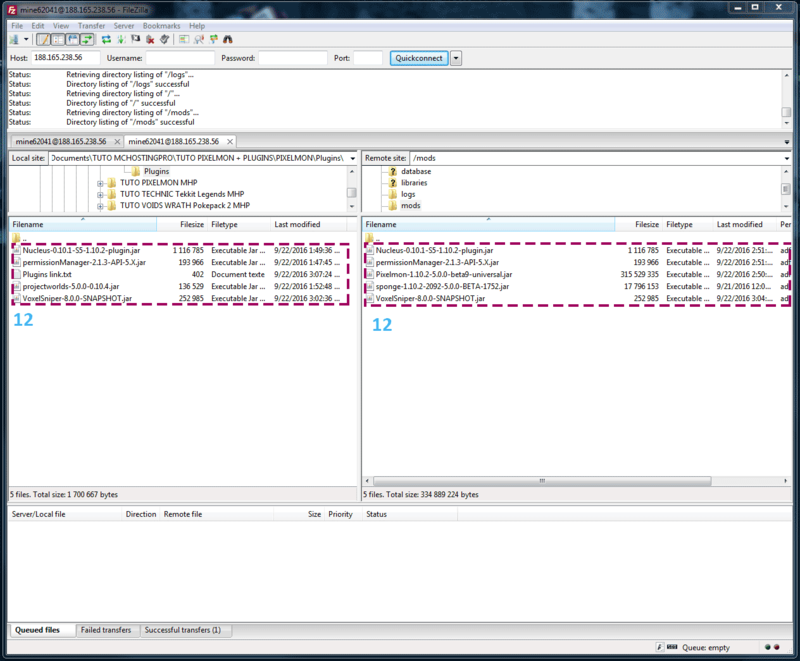 Connect to your server with FTP access in using Filezilla or Winscp. 7. 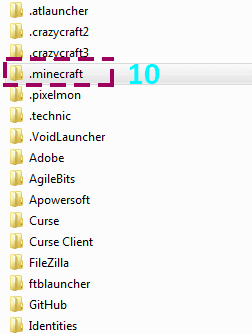 Drag and drop PIXELMON mod in your server "mods" folder. 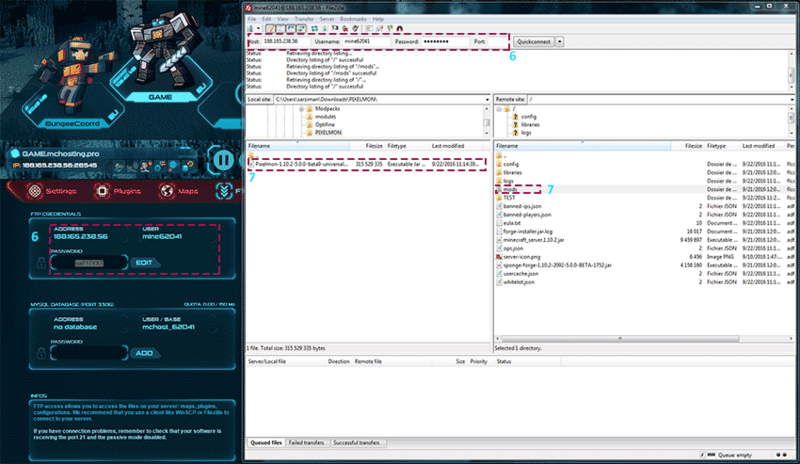 Now we'll install Forge on the client side, and add the Plugins in the server. 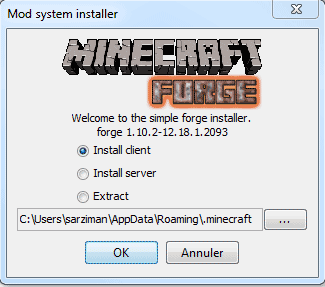 I installed the latest version of FORGE 1.10.2 2093. 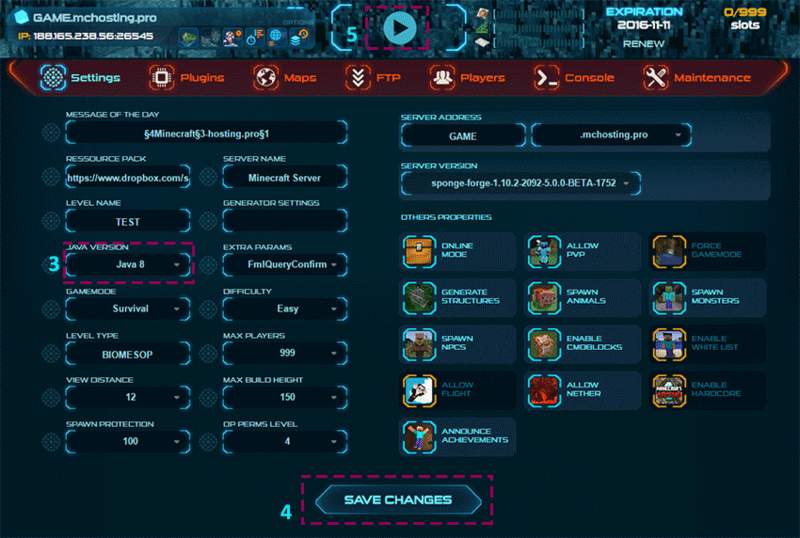 This part is important because you need to have Forge to connect to your server, that's why we are going to install it in client side. You need to install Forge in the client side by clicking on the "OK" button to install it. Write %appdata% to access in your Minecraft directory. 10. Click on .minecraft folder. 11. 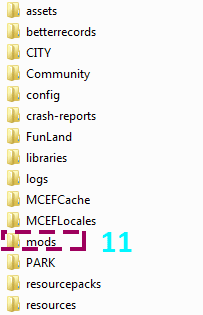 Click on the mods folder, and drop the PIXELMON mod inside. Now we'll download the SPONGE plugins. 12. 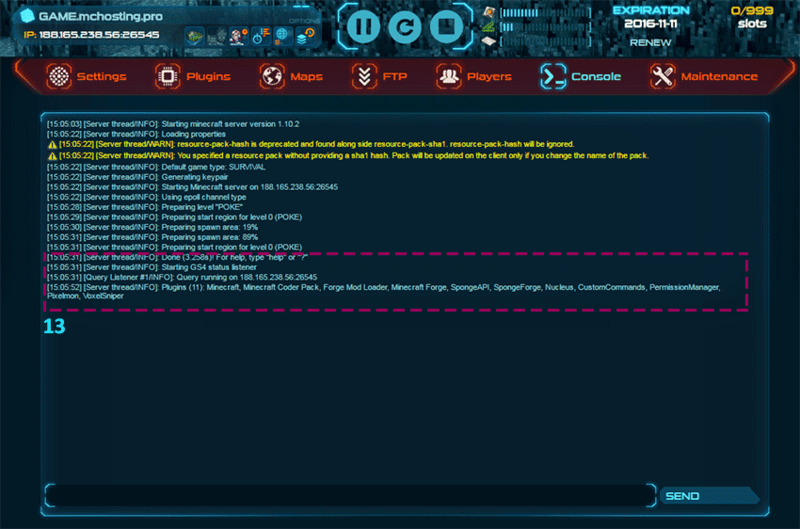 Drag and drop the wanted Plugins in the server "mods" folder. Doesn't create manually a "plugins" folder. RESTART the server after that have put the plugins.